Something very important here. The entire Summer Slam Pay Per View was designed to not only explain Savage having a knee injury for upcoming title defense vs Flair, it was designed to position Savage’s opponent, The Ultimate Warrior, as Flair’s new nemesis & #1 Contender. Ostensibly Flair & Warrior were to feud through the Fall of 92, culminating in Flair dropping the title to Warrior at Survivor Series. 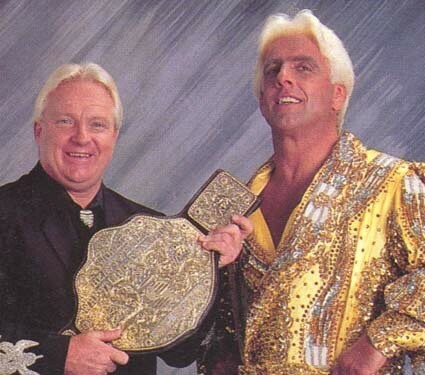 Flair & Warrior were all over WWE TV the first month plus after Flair regained the title. 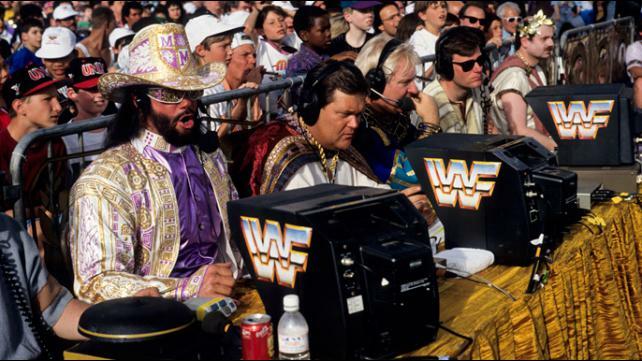 They also started main eventing house shows (though for some reason WWE didnt send Warrior to Germany to face Flair during The European Tour, he defended against Savage on some shows & Brett Hart on others). 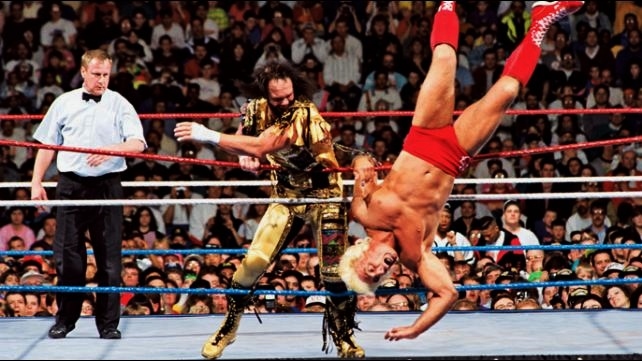 In mid October, Warrior injured Flair by dropping him wrong during the press slam spot during a main event in Phoenix. Flair suffered an ear injury that ruined his equilibrium, eventually sending him to The Mayo Clinic. With Flair needing time off the road McMahon was faced with a tough decission, keep the belt on Flair in the hopes he comes back and you can make money off his eventual loss, or take the title off him since he will be off the road & off TV. 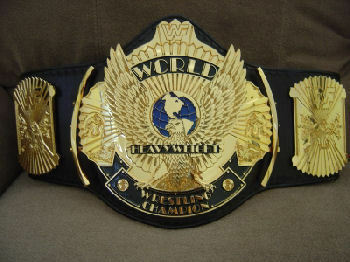 Not knowing how serious the injury was or how long the rehab was, McMahon chose to take the title off Flair. Flair, old school to the end, promised he could wrestle hurt at least enough to drop the title in the ring. The surprise was Warrior was bypassed for the title. In fact, Warrior was dropped from the Main Event scene and appeared hardly at all on TV over the next month. Warrior and McMahon were not on good terms and in fact Warrior wouldnt even make it to Survivor Series. McMahon chose Brett Hart, who had been successful in a two year singles push that included an iconic Intercontinental Title Run, but he had no history with Flair and no storyline. Flair needed off the road sooner not later so there was no build, no storyline, Hart admitts he had no idea what was going on (he wasnt even in the country when much of this happened according to Hart’s interview on Flair’s podcast in 2016), and in somewhat unexpected fashion The New Generation Era was born. Flair never even appeared on WWE TV after the loss, announcers noting that he was injured in the title loss and was getting mddical care. As for Warrior, he was brought back to TV when Flair returned a month later, only to get punked on Sat Night Main Event by Flair & Scott Hall (aka Razor Ramoan), which was the storyline excuse for his absence. 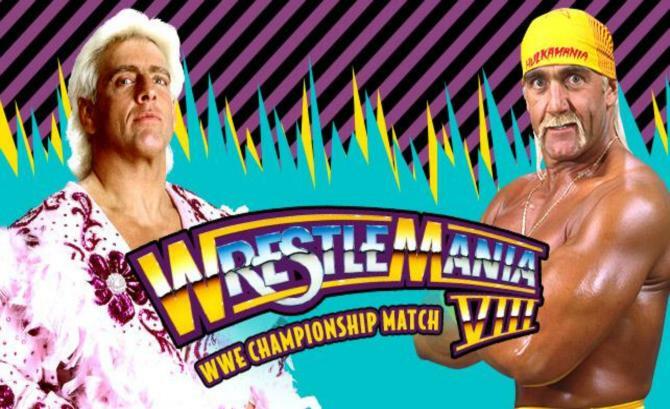 In essence, The Steroid Investigation & Hogan’s possible leaving influenced the decission to pull Flair vs Hogan and substitute Flair vs Savage at W-Mania VIII. Warrior’s ongoing behind the scenes issues with Vince McMahon and carelessness in the ring (injuring Flair) cost him the World Title and ended his WWE return prematurely, in disapointing fashion. Brett Hart was beneficiary, hard work and loyalty rewarded when Vince needed someone to turn to.